A salad that will impress friends and family at your next get together. Celebrating their 10th Anniversary, Cookwell & Co. gave me a bottle of their Watermelon Vinaigrette to try – just in time for summer! 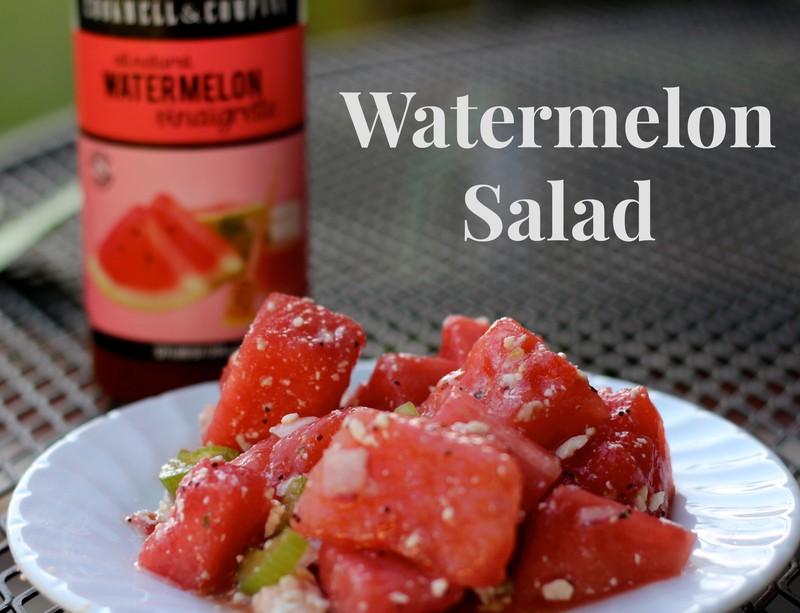 Pair this sweet side dish with grilled chicken, hot dogs or burgers and discover the fresh, refreshing flavor of Cookwell & Co.’s Watermelon Vinaigrette. It is obvious why they have been so successful for the past 10 years, and in the years to come. This dish is close to perfection!